We believe we are in a unique position to participate in the strategic journey enterprises are taking to become digital. We have embraced four ideas - scaling agile digital, energizing the core, reskilling our employees and expanding our localization - in our strategy. Scaling agile digital is about moving away from the conventional point solution-led approach and peripheral digitalization to building a truly digital future for our clients from the very core of their enterprise and at scale. Our digital framework drives business outcomes for our clients across five areas – Experience, Insight, Innovate, Accelerate, and Assure. This also guides our own aspirations and effort to build digital capability in service of our clients’ needs. Energizing the core entails embracing artificial intelligence-based automation and software platforms to boost the productivity of our clients’ core processes and systems, while delivering it with the efficiencies that our Global Delivery Model brings. 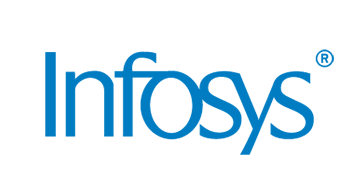 Infosys Nia, our next generation intelligent automation platform, plays a pivotal role here. Reskilling our employees is what we do to make sure that all our people have the skills that equip them with what it’ll take to deliver to our clients’ expectations. And expanding our localization is helping us bring to our clients the benefit of proximity to accelerate their agile digital transformation. Beyond business, we’ve established the Infosys Foundation USA to bridge the digital divide in America. Infosys Foundation in India provides assistance to some of the most economically depressed communities in which we work. In addition, the Infosys Science Foundation awards the Infosys Prize to the most important research of our times in the sciences and the humanities.